High-effiency. Plus a tax credit!. 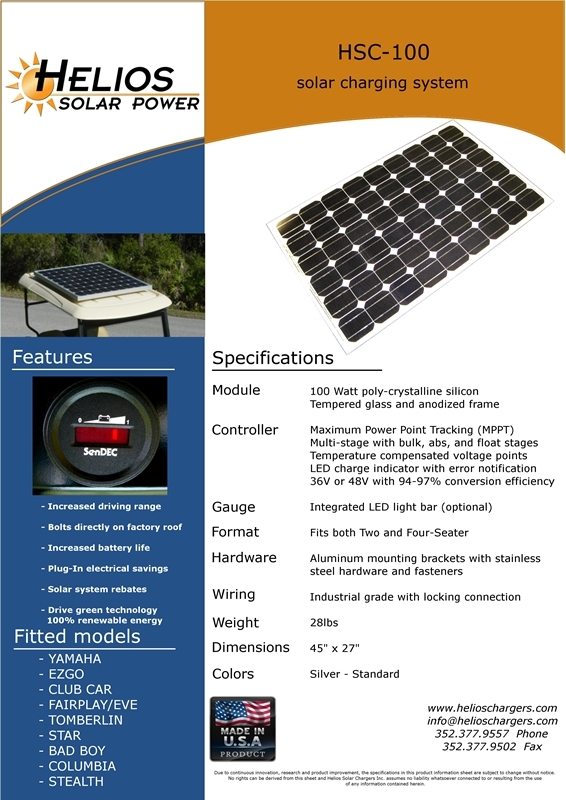 Helios provides a large product line of solar charging systems. 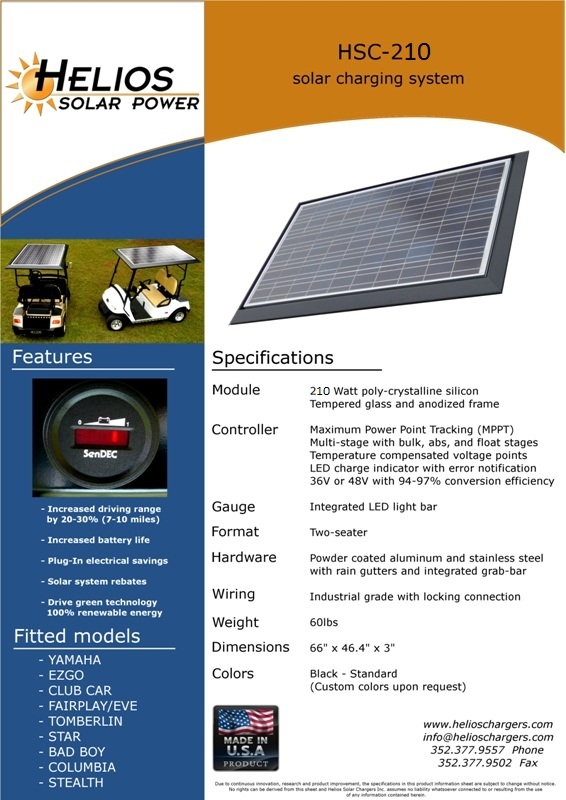 We also supply products made by other premium manufacturers of Solar Equipment. 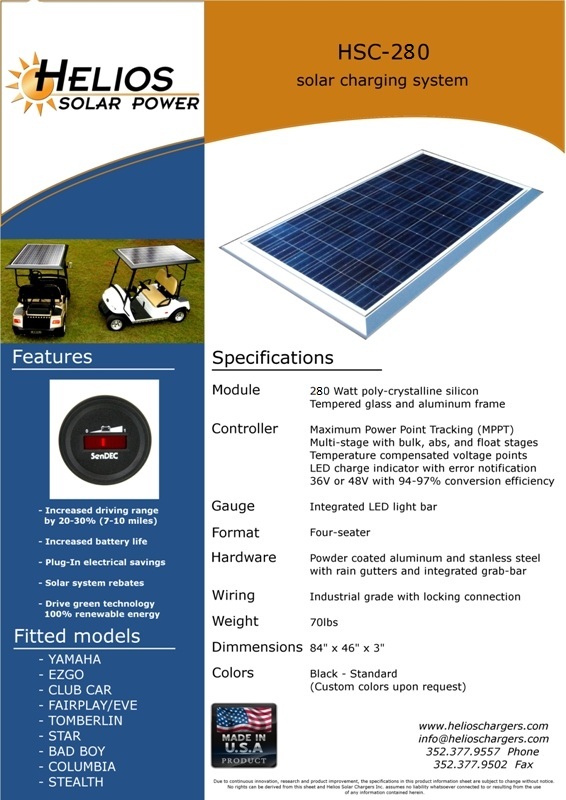 All of our products have been tested and inspected and have a 30 day satisfaction guarantee. 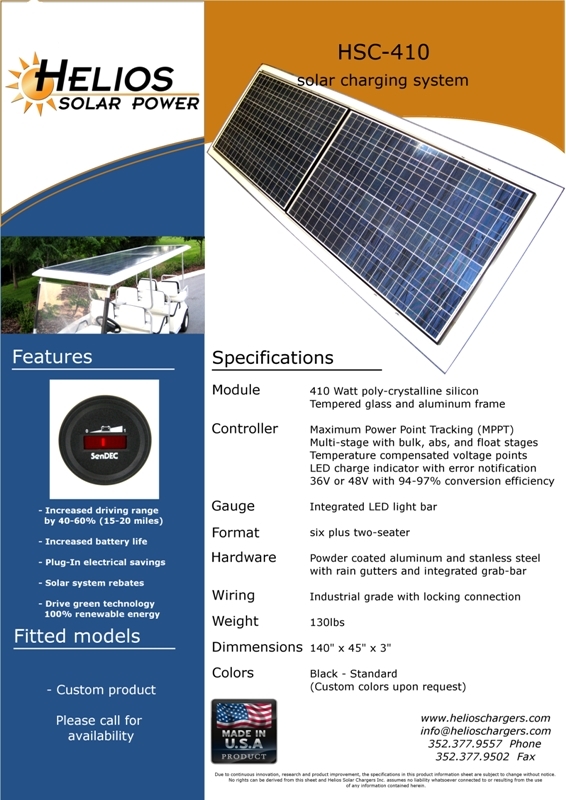 Contact us today for more information on Helio's Solar Rooftop Replacement Chargers!